Yours truly! Makeup by Connie Bowles/Meraki Rose Makeup/Hamilton, MT. Guys, I can't even with her. I was stunned when I looked in the mirror - she is SO. FREAKING. GOOD. For someone who doesn't really wear much makeup, I sure post about it a lot. But guys, it's for a good reason: your makeup will make a HUGE difference in your photos! Also, your photographer will do a little happy dance when she sees a gorgeous, glowing face with perfectly accentuated features. Just saying. A while back, I touched on this subject, along with why I'm seriously begging you NOT to spray tan before your photos. I want to elaborate on the makeup end of it now by explaining why it matters who you select to do your makeup on your big day. At the root of it, I believe it matters because your photos should reflect YOU and your emotions on your wedding day (or engagements, family sessions, whatever the occasion! ), and good makeup simply complements those things, while bad makeup absolutely will distract from them. 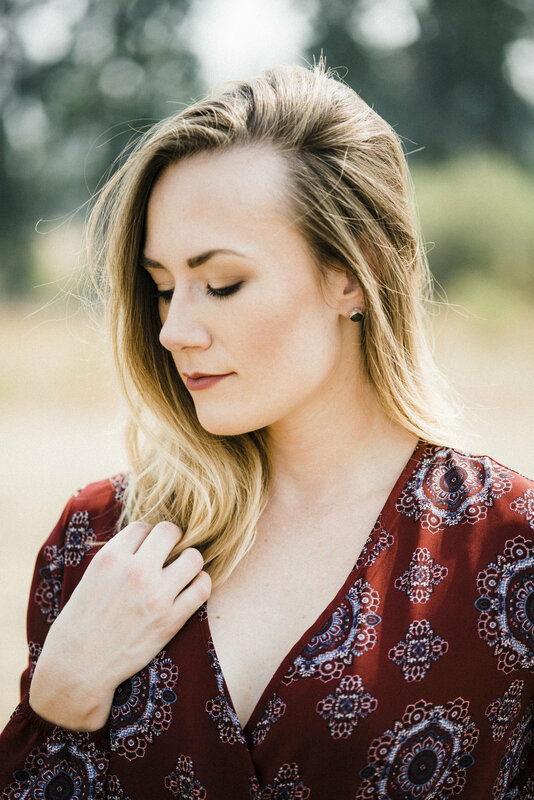 Autumn is naturally stunning and Brittnee's work (Ethereal Hair & Makeup/Bozeman, MT) was the cherry on top to this look. We were going for a romantic, boho-inspired feel with some classic glam and Brittnee nailed it. She kept everything very natural and let Autumn's gorgeous brown eyes steal the show by giving them a little bit of warm, neutral drama without overpowering any other element. I seriously squealed when I saw Autumn. Reason numero uno: Your photos should reflect you, i.e., you should recognize yourself when looking at them. YOU are good enough as you are! You are beautiful without creating anything that doesn't exist or altering your features. That being said, the right makeup artist will know how to complement your natural features in a way that is subtle but powerful. This is multi-faceted: it means she'll know how to correctly match foundation to your true skin color, including undertones, because guess what: some of us are a little pink, others have more yellow, etc. It's important to recognize these things because a mismatched face WILL be obvious in your photos, even if it's just slightly off. It also means she'll pay attention to the natural shape and size of your features. Not all of us have big eyes capable of supporting a dramatic smokey eye, but a good makeup artist will know how to take the things you love about that Kim K. inspo shot and tailor it to your natural features. And from the photographer's perspective, this is a GREAT thing, because guess what happens when someone tries to do a bold smokey eye when they have naturally smaller eyes? Their eyes disappear into black holes in photos and without fail, they ask if there is any way to make their eyes look better after the fact. Sorry, no. This also means your makeup artist should pay attention to colors that will enhance and flatter your features, rather than following someone else's work on someone else entirely. Some of us simply can't do black eyeliner (hi I'm talking about small eyes a lot because I have them and it took me way too damn long to learn some of this! ), but a warm brown will do the trick times ten. It'll make those blue eyes pop without closing them in. Likewise, for those of you with big, beautiful, sultry eyes, for the love of all that is good, rock that bold smokey eye with the black liner! Short story long, your makeup artist will know how to make the most of your features! 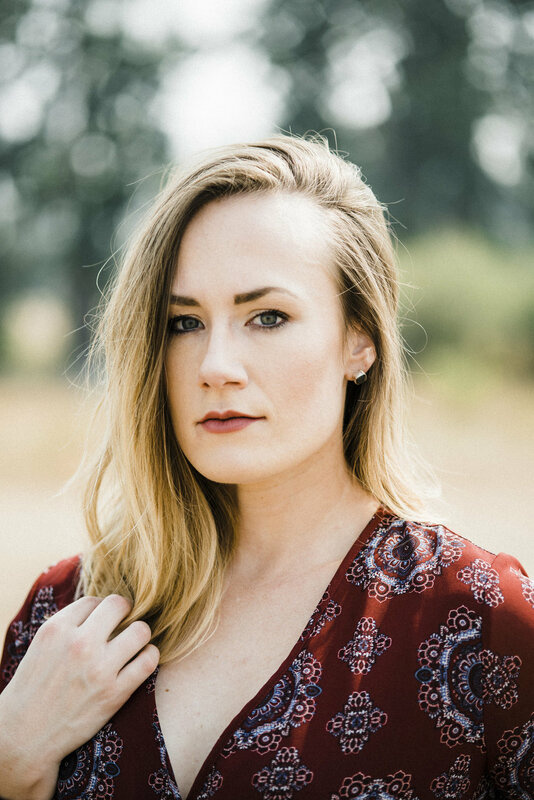 Super natural girl here: Connie (Meraki Rose Makeup/Hamilton, MT) kept my fair skin fair and played up my cheekbones while trying to downplay that massive piece of real estate I call my forehead (there's only so much she could do, guys. It's huge). A neutral eye palette with a soft liner drew the attention to my eyes without being distracting. Guys, she's so good! Reason numero dos: Similar to a good makeup artist's ability to understand and enhance your natural features is her desire to understand your own personal style and objective for the look. A good makeup artist will take the time to understand what your everyday style is and what the vibe of the photos is supposed to be to create a look that still suits you, but fits the look to the objective (it's a special occasion, right? Your makeup should be a little "more" than your everyday look!). This is important because your photos should make sense: you should clearly still be you, and the makeup should complement the overall mood of the day, event, etc. She may ask if you have a mood or inpso board (or maybe she'll ask your planner) to give her an idea of the overall theme: whether its boho, classic, princess - it will help her tailor your makeup to fit nicely with the overall scheme. Finally, you should be comfortable! If you're not used to wearing heavy makeup and false eyelashes, you might feel overdone or be worrying about your makeup or eyelashes coming off throughout the day (this is me!). Conversely, if you feel more comfortable with more makeup, you may be self-conscious if you're wearing less than what you would on a day-to-day basis. A good makeup artist will strive to understand where you fall on that spectrum to find a happy medium so that you look and feel like the best version of you without worrying about your makeup all day. 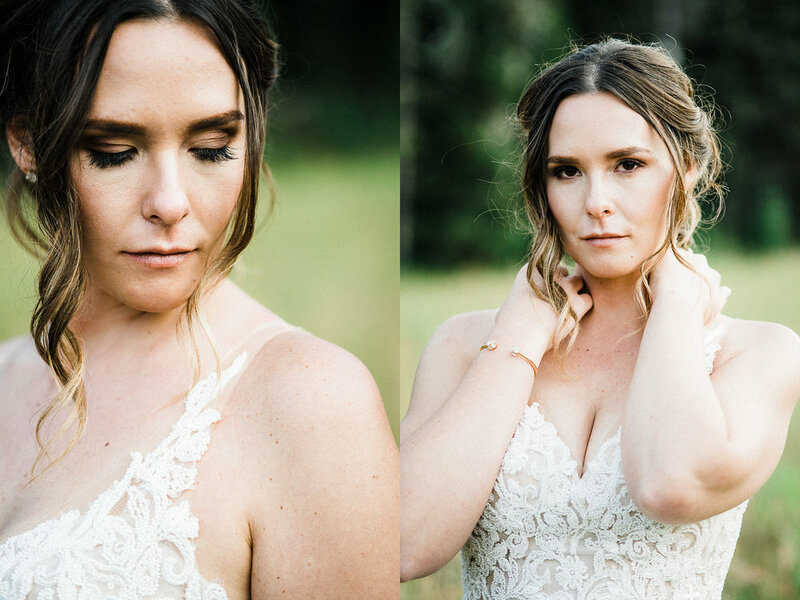 Brittnee (Ethereal Hair & Makeup/Bozeman, MT) killed it with this simple, timeless romantic, slightly boho-look. Autumn almost looks like she's not wearing any makeup at all - she just looks like she is naturally perfectly sculpted and her skin simply glows. Side note: Brittnee also did her hair. She's incredible. Reason numero tres: Finally, who doesn't want glowing skin?? This comes down to ingredients more often than not. The right makeup artist will know that products containing sunscreen (or minerals/ingredients found in sunscreen such as zinc) are a no-no when it comes to photos. Sunscreen, while definitely a YES on a daily basis, is bad for photos because it does it's job: it reflects sunlight and this shows up in your photos as super white, blown-out faces. Your face will be white and lack details, while your super handsome S/O will be all ruggedly natural and it looks goofy, y'all. Conversely, too much makeup with low-quality ingredients will absorb all the light, making your skin look "muddy," dull, and/or orange. A good makeup artist will use high-quality makeup that may be specifically designed for photos, thus giving you enough coverage to feel like you're putting your best face forward without compromising on that gorgeous, dewy glow in your skin. Let's talk makeup and spray tans! Hey ladies! This post is for you: I want to talk about makeup and spray tans as part of your photo session prep. Before we get to that though, we need to talk Photoshop. One of the most frequently asked questions I get is whether I "Photoshop" a client's photos before delivering. This is always a longer answer than simply "yes" or "no," because when people think Photoshop, they generally think magazine-cover retouching. That's a no ghost rider. But Ido use Adobe Camera Raw, which is Photoshop's reader for raw images (this is the format that photographers will shoot your session in: raw will store all the data so that the photographer can finalize it according to his/her own style, while JPEG allows the camera to guess at how the final photo should look and discards the remaining data). Using ACR, I am able to pull all your photos onto my computer and make basic corrections to things like exposure, tint, and white balance if needed, and it also lets me manipulate the tones, hues, saturation, etc. to fit my editing style. Once I'm done in ACR, the photo will open in Photoshop, where I will apply any finishing touches if they are needed. Regarding finishing touches, I operate under a "here today, gone tomorrow" policy when finalizing a photo. I want every image to truly reflect you at your best, so I may edit out minor things such as the occasional blemish (here today, gone tomorrow...or next week) or distractions caused by an awkward angle and lens compression, such as a double chin that isn't generally there. I will not, however, make you look like someone or something you are not. I won't tuck your waist, trim your hips, or give you a thigh gap. I could talk all day about why I won't do this, but that's for another day. Today I want to get back to the minor things like blemishes. Have you ever noticed photos where the woman's skin looks orange or muddy or dull? Guess what? More often than not, it looks that way because she was wearing too much makeup or her tan was too thick. The single biggest factor, when it comes to skin tones being clean and glowing or orange and muddy, is light. Makeup and spray tans affect the way the light interacts with your skin, which is read by the camera. Although technology - and Photoshop - are great and can make up for a lot of "oops" moments (like underexposing a photo or messing up the white balance), it cannot completely make up for bad light. Now, you may have great light the day of and your S/O's skin tone may be gorgeous and glowing, but if the light is being absorbed by too much makeup or spray tan, it won't reflect and you won't have the opportunity for truly clean and glowing skin. Similarly, if your lotion or makeup has sunscreen in it, that will affect its appearance in photos as well: the sunscreen will actually reflect too much light and you may lose some detail in your face in those photos, or your face will appear significantly whiter than the rest of you. No bueno! Here is a side-by-side closeup (this photo was taken by Abby Glover and I edited it quickly for the sake of this post). Both photos are exactly the same, except I have removed the blemishes in the image on the right. See? It's bright, clean, and ghostly white. Per usual. Now let's contrast that with an example of orange/muddy skin tones. In the example below, the direction of the light is a little different, but you can clearly see that my skin looks dull and orange. Too much makeup that day. I knew better, but didn't resist that urge to overdo it. Same editing process, but you can see how much more natural Dylan's skin looks than my own. In sum, when it comes to makeup and tanning, less is more! While I do not expect anyone to show up on their wedding day sans makeup, I hope this helps alleviate some of that urge to cover everything or go a coat darker on that spray tan. I promise your natural skin color is beautiful and I can get rid of any pesky zits/discoloration that wouldn't otherwise be there, but I can't recover naturally glowing skin if it's too far buried! If you have any questions about this topic in preparation for your session or your wedding day, I am more than happy to discuss it further!